This is where I keep you up to date with current and new projects. For articles from my archives, see the Articles section. 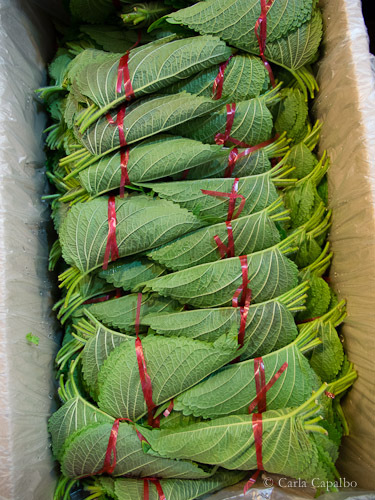 I was recently in Seoul, South Korea, and became addicted to fresh perilla leaves, used as an edible wrap for rice and its spicy condiments. Their exciting flavour is the perfect antidote to Europe’s grey wet winter this year — if only I could be back in that market place now! 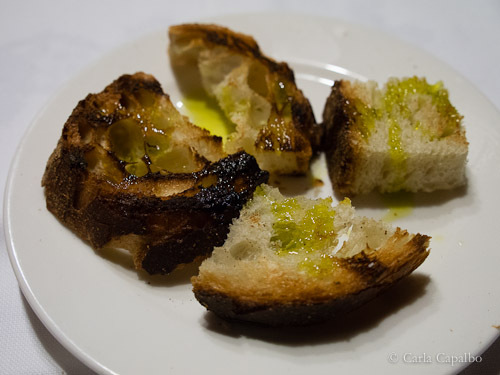 The new season’s olive oil is finally out and it’s delicious just like this, on a piece of ‘pane abbrustolito’ — toasted over a wood fire. Green, grassy and fiery in the finish. This was at the wonderful Antica Osteria del Mirasole, at San Giovanni in Persiceto, near Bologna. 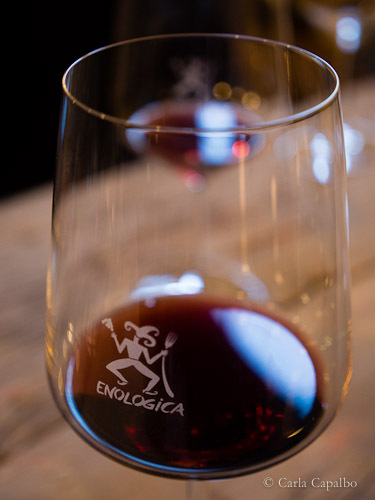 Enologica, a three-day wine and food event that features the wines from Emilia Romagna was held in Bologna this year. It was a great place to sample lots of the region’s best Sangiovese wines. © Carla Capalbo. 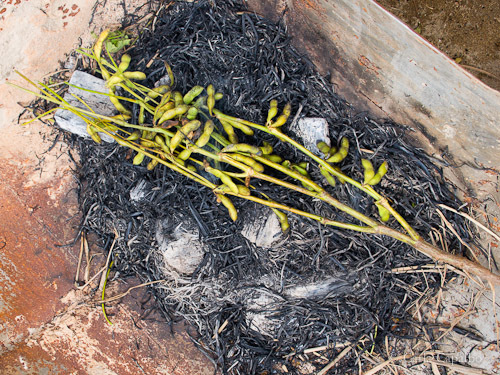 These were amazing: fresh soya beans still on their stems held over burning straw until their pods were scorched and the beans were just tender…Korean food is fantastic and I have lots more to recount about my recent trip to Slow Food’s AsiO Gusto in Namyangju, near Seoul. 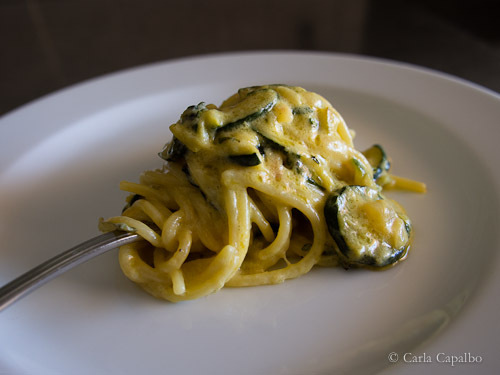 This is Antonio Pisaniello’s scrumptious courgette and cheese sauce for spaghetti, from Trattovia restaurant, Ponteromito, Campania. 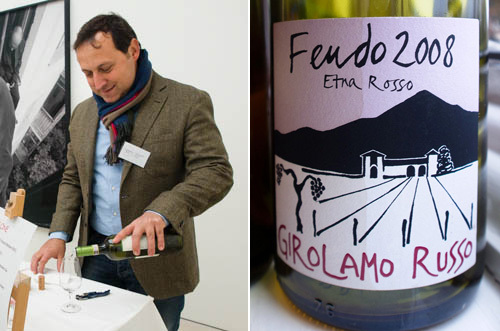 This week Giuseppe Russo, of the wine estate Girolamo Russo on the northern slopes of Sicily’s Mount Etna, came to stay in London for a few days. He presented some of his wines at the elegant tasting held by Goedhuis Fine Wine at the Saatchi Gallery in Chelsea. It was inspiring to taste the wines in the rarified atmosphere of the modern art galleries, surrounded by large works by contemporary Russian artists. Giuseppe’s wines have been hugely successful since he began bottling them in 2006 and I like to think I may have helped him a tiny bit with that: I designed his labels. Here’s one from a delicious bottle of 2008 Feudo we drank together, of Nerello Mascalese grapes. Salute! 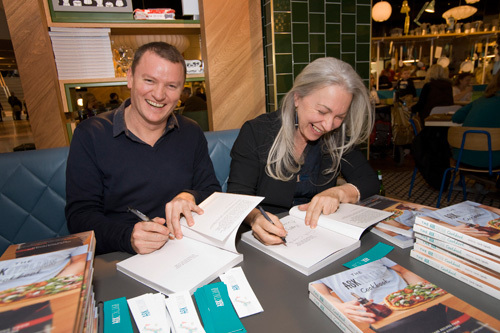 The week also saw the official publication day of the ASK Italian Cookbook, with a book signing at Waterstones book shop in the large Bluewater shopping centre, followed by lunch and more books to sign at the lovely, newly opened ASK Italian restaurant there. I always enjoy spending time with chef Theo Randall, and it was fun to celebrate the book’s launch with him and the ASK Italian team. It’s finally out! The new ASK Italian Cookbook I edited this spring is about to be available from ASK restaurants and top booksellers, including Amazon. It’s being published by Viking-Penguin and a large slice of the proceeds will go to the Great Ormond Street Hospital Children’s Charity, as part of ASK Italian’s bid to raise £1 million for the charity, following on from the £200,000 they raised a couple of years ago. It’s been a pleasure and a privilege to have contributed to this super-worthy cause. The book features over 100 recipes including many from the ASK Italian kitchens, chef Theo Randall and from me. The book is beautifully illustrated with colour photography by Jamie Laing and Sylvie Tata – I should know: I did most of the food styling too! The radio interview I recorded in New York recently has been broadcast on Heritage Radio and is available here. 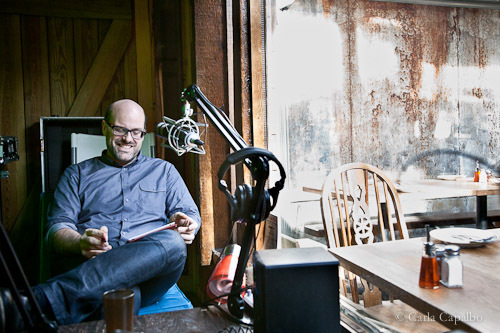 My great friend Mitchell Davis hosts Food Matters, a weekly programme on food for it. He is a vice president of the James Beard Foundation. 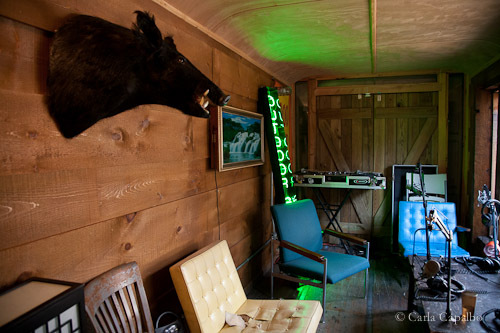 It’s broadcast from a converted container inside the amazing pizza restaurant Roberta’s in Brooklyn, NY. 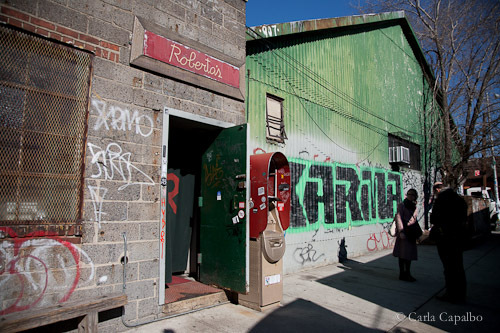 This is a unique place, located as someone described it, on a desolate backstreet in Bushwick. The pizzas (and other food) are outstanding and the whole restaurant compound has the feel of a post-Woodstock commune. Well worth the subway ride out there. Our talk is about global food trends and self-sufficiency.